Caring for an elderly parent, a loved one with a disability or an individual who has recently sustained a serious injury is hard work. It is especially physically and emotionally taxing if you are required to provide all of the care yourself. If you live in the wonderful province of Alberta, however, you don’t have to go it alone. The Alberta Health Service (AHS) has a program available to you known as Self Managed Care (SMC). What is SMC and how does it work? 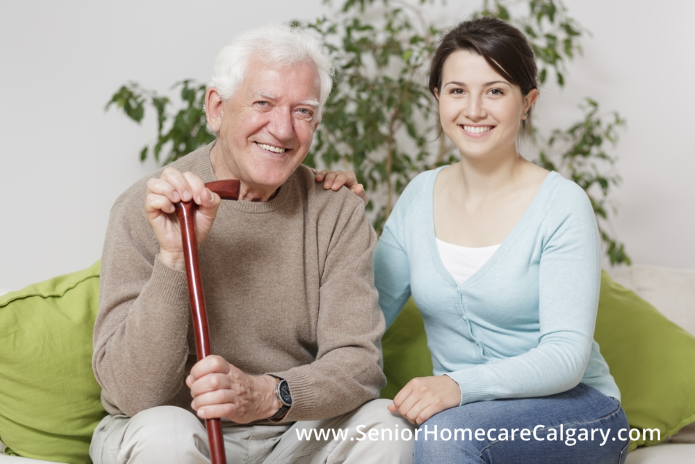 The program helps Albertans who require home care services to secure financial support in order to pay for the services of a professional caregiver. To be eligible for the program, an assessment must be conducted by an AHS Care Case Manager. Among the various services that are covered by the program are personal care, which would involve assistance with personal hygiene, bathroom use and eating as well as home support services which include meal preparation and recreational activities. As long as you have a valid Alberta Health Card, you are eligible to apply for Self Managed Care. The individual who requires the care must have assessed unmet health care needs, ongoing needs for personal care and home support and stable health and predictable care needs. Anyone approved for SMC must be willing to assume the responsibilities and risks associated with attaining their own personal or home support services. That last part is very important. By seeking the assistance of SMC to pay for your home care services, you effectively become an employer. It is important to note that family members cannot be hired as caregivers through SMC. That includes parents, grandparents, spouses, children, in-laws or anyone else living in the same household. Instead, you must hire a professional caregiver. But, it should be noted that there are some cons to becoming an employer. What are the cons of hiring your own personal caregiver? As mentioned, you must assume all risks and responsibilities of attaining the services of a home care provider. That includes being liable for personal and employee injuries which may occur on the job. Furthermore, it’s your duty to come up with a “plan B” in the event that your caregiver is unavailable on any given day of work. Consider that holidays will have to be managed without your employee as well. By hiring your own caregiver, you’ll also be responsible for all screening, references and credential checks. And, remember that as an employer, you must remit all taxes to the Canada Revenue Agency and adhere to the adjusting wages as required by law. If this sounds like a lot of work…it is. You’d be much better off working with an agency. What are the pros of working with an agency? All of the aforementioned cons disappear! With an agency, you are guaranteed a thoroughly screened caregiver who will have his/her shift covered by a skilled Health Care Aide in the event of an absence from work. The agency also assumes all liabilities, covers all insurances, handles employee tax remittance and provides concise and detailed billing. Of course, clients always receive final say on the caregivers chosen for the job. At Senior Homecare, we would be more than happy to provide you with a complimentary in-home consultation to guarantee that you are able to secure the ideal caregiver for your home care needs. Please don’t hesitate to call us at 403-862-0129 OR toll-free at 1-877-209-6142 or visit our Contact Us page to complete and submit a simple contact form!